The Phantom Miro C110 is our most basic and easy to use camera. 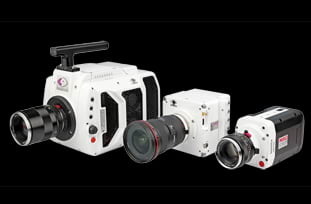 It includes the same Phantom features and quality as other Phantom cameras in a cost effective and flexible option. Small pixels make it perfect for microscopy. The Phantom Miro C110 is a small, sturdy, and easy-to-use camera. It has all of the standard Phantom features and image quality at an economical price. The C110 is often found in small college or high school laboratories. 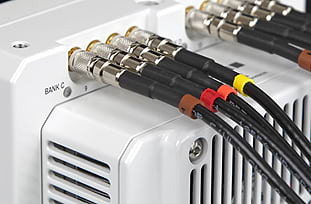 The C110 uses standard BNC and ethernet cables with no need for special cables and has a 1-inch C-mount for microscopes or a variety of lenses. The memory can be partitioned up to 63 times to deliver images from the 1.3 Mpx sensor with 12-bit depth and tightly packed 5.6 micron pixel size. The Miro C110 is capable of 1295 fps at 720p HD and up to 52,445 fps at reduced resolutions. 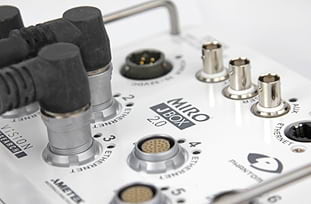 Small, flexible, and easy to use, the Miro C110 is the perfect analytical tool. With a 1.3 Megapixel sensor, it achieve 915 frames-per-second (fps) at full 1280 x 1024 resolution, 1,295 fps at 720p HD, and up to 52,445 at reduced resolutions. Maximum speed at full resolution of 1280 x 1024 is 915 fps. 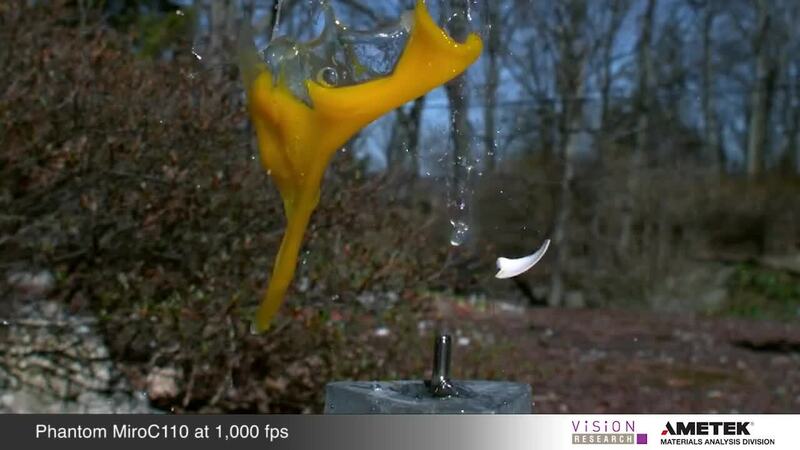 Maximum speed at reduced resolution of 128 x 8 is 52,445 fps. Minimum frame rate at all resolutions is 50 fps. 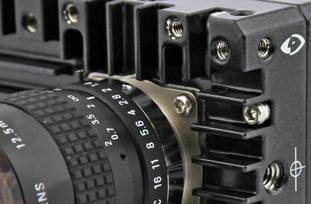 1" C-lens mounts, reversable to accept CS lenses. Nothing - you're all set to go! Can I use a standard Ethernet cable with the Miro C110? Yes. We include an Ethernet cable and a BNC cable with the camera, just to get you started. But any Ethernet or BNC cable will work. The C110 looks like the C210. Is it Hi-G? Can it be used with a Miro Junction Box? The Miro C110 has many of the design features as the C210, and it is made to be rather tough. However, it is not specified as a Hi-G camera, and cannot survive the same shocks and vibrations that the C210 can survive. 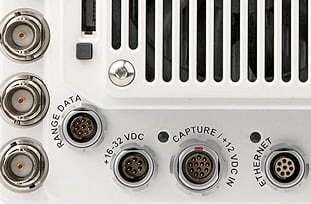 The C110 is not designed to work with a Miro Junction Box, and has different connectors. 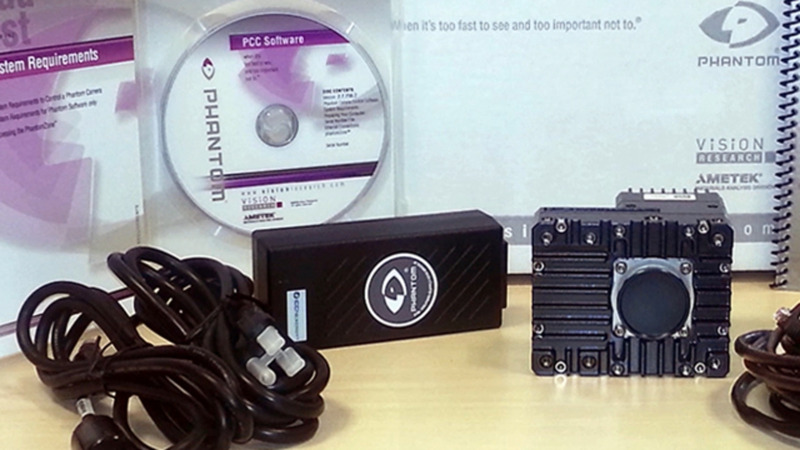 The Phantom C110 quick start guide helps us new users get their camera up and running.